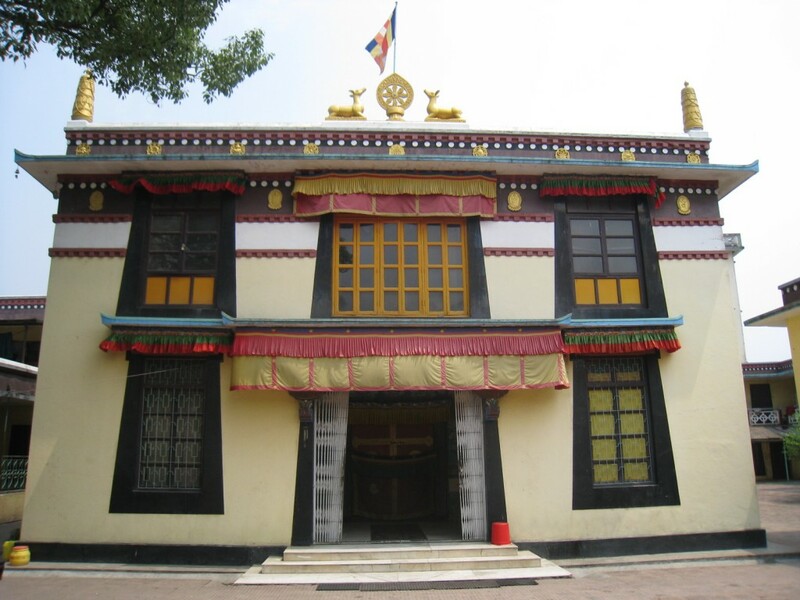 Nyanang Phelgye Ling is a Monastic University located at the foot of Swayambhu Stupa in Kathmandu, Nepal, following the Gelug tradition of Tibetan Buddhism. Since its beginning, Phelgye Ling Monastery has hosted many eminent Buddhist masters, as well as religious festivals and celebrations, and has been a very important center of Buddhist learning and practice. Nyanang Phelgye Ling Monastery, currently has 45 monks, ranging in age from 8 to 72 years old. The monks engage in daily pujas and other activities under the direct tutelage of the abbot. The day starts at 5:00 am, when the monks wake up to prepare for early morning puja, which begins at 5:30 am and lasts until 7:30 am. There are also regular daily pujas at 9 am and 2 pm. When the students are not in puja, they engage in other studies and practices, such as memorization of scripture, making butter sculptures and torma offerings, Tibetan handwriting, ritual practice, and English and Nepali grammar studies. Phelgye Ling Monastery also is home to several very precious religious artifacts, some dating back over a thousand years. Many of these items were first brought out of Tibet to ensure their safety during the conflict with China in 1959. These treasures are very well known by many people in the community, and have been a continual source of blessings for those who behold them. All are welcome at Phelgye Ling Monastery. The monastery is open to all persons regardless of political, religious or ethnic affiliation.